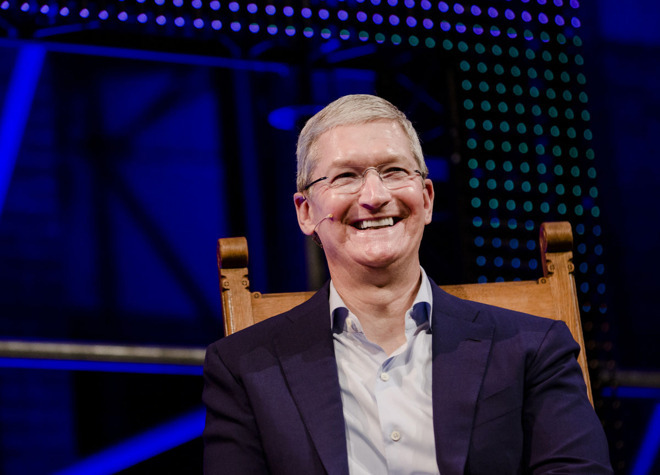 Although it may only expand into new categories when the time is right, Apple intends to weave its products into virtually every aspect of a person's life, Apple executives Tim Cook and Eddy Cue revealed in an interview published on Monday. "We want to be there from when you wake up till when you decide to go to sleep," Cue told Fast Company. "Our strategy is to help you in every part of your life that we can," Cook added, "whether you're sitting in the living room, on your desktop, on your phone, or in your car." Apple products already cover all of those areas to an extent, through the iPhone, Mac, Apple TV, and CarPlay. The company is also believed to be developing its own electric car however, along with things like an Amazon Echo competitor. Cook once again hinted that the company is planning to dive deeper into the health world, beyond HealthKit, CareKit, ResearchKit, and the Apple Watch. "We've gotten into the health arena and we started looking at wellness, that took us to pulling a string to thinking about research, pulling that string a little further took us to some patient-care stuff, and that pulled a string that's taking us into some other stuff," he said. Separately, Cue noted that the company's botched relaunch of Apple Maps in 2012 —sans Google content —is the reason it now does public beta testing of iOS and macOS, hoping to catch more problems early on. "To all of us living in Cupertino, the maps for here were pretty darn good. Right? So [the problem] wasn't obvious to us. We were never able to take it out to a large number of users to get that feedback. Now we do," he said. "The reason you as a customer are going to be able to test iOS is because of Maps."